Home>What is a kiseru ? What are the main types of kiseru ? 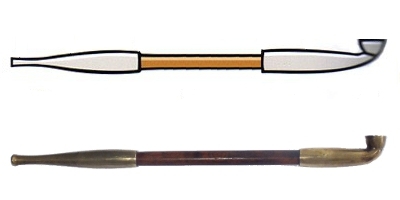 The kiseru are traditional Japanese pipes used for smoking tobacco. 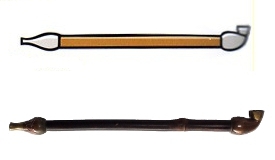 They are used in Japan since the second half of the sixteenth century. They are characterized by a small bowl where only a small quantity of tobacco can be placed, and their forms are generally very fine and elegant. 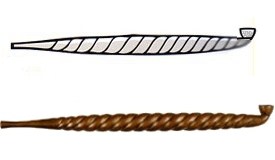 Most of the kiseru are made of metal and bamboo but there are also many models entirely in metal or even in ceramics. Some models are very simple and have little value, others on the contrary are true works of art, finely worked and sculpted. Between these two extremes there is a range of kiseru very different from each other, wether old or new, their are models for everyone ! 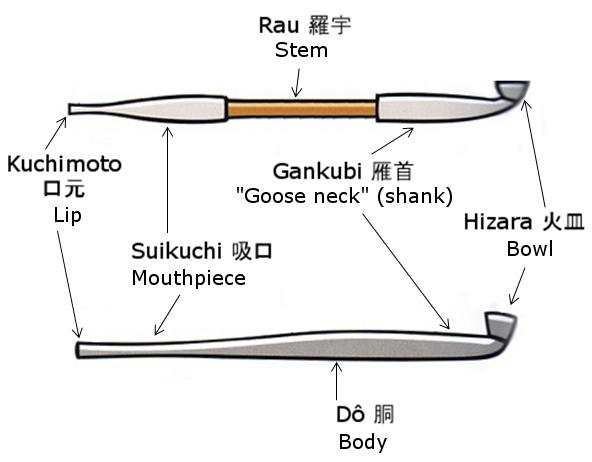 The "Rau kiseru" are made of three parts : suikuchi "mouthpiece", rau "stem" (usually made of bamboo or wood) and gankubi "shank"), unlike « nobekiseru » which are made of a single part. - Sekishū 石州 : with the « Joshin » kiseru (see hereafter) it is one of the most common kind of kiseru. It is called "Sekishu kiseru" because the tea ceremony master Sekishu used to like very much this model in particular. - Joshin 女信 : with « Sekishū » (above), it's one of the most common kind of kiseru. - Kōdaiji 光大寺 Much less common than the two previous models, it is a "rau kiseru" with bulging tips. 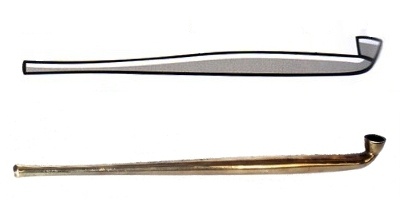 Unlike the "rau kiseru", these are very simple kiseru made of a single piece of metal (usually brass). This kiseru is also made of one piece of metal but the boddy is twisted. There are some very big and massive Tazuna kiseru. Kiseru which peculiarity is to be flat to fit easily in the belt of the kimono.